From an eternal world, two lovers have chosen to come back to Earth to experience mortal life again. Once they leave their other world, they will retain no recollection of their former lives. Simon Isaac Umbridge is an antiques dealer who travels the world. He prefers a quiet uncomplicated life. His best friend's 16 year old niece, April decides to move to England permanently so she can achieve her mission in life to lead Simon to love - her love. Although attracted to April, Simon wants no part of her childish game, but April doesn't intend to give up. Aided by her quirky Great-aunt and her Celtic Wiccan best friend, April will try her best to change Simon's mind. At the time that the story Always came to me, I was writing two other stories. One day as I was working on one of those books, I thought of a middle-aged lonely man standing on the balcony of his penthouse looking down on the town he loved. The story line began to develop. I had no idea where this story was going to take me and I allowed it to just develop into the novel it turned into. Always became a touching love story from the perspective of a past live, the present and the eternal life. I couldn't believe that such a gift was given to me by the Universe. Although I write many stories, Always holds a special place in my heart because it is a tender, loving story. DM Yates writes Spiritual/New Age poetry and New Age/Fantasy/Mythological/Spiritual/Romance novels.She has an Associate's Degree from of Alpha Chi. She attended 3 years of graduate school at Brigham Young University, Provo Campus. Her degrees are in the Humanities, Languages with minors in History and Linguistics. Simon, an antique collector, and his best friend, Dixon, a local newspaper publisher have always been close. When Dixon discovers that Simon owns an estate in the English countryside with some strange history, the first thing Simon thinks about is the money that it is worth. April, Dixon's young cousin, has met a girl from that village who claims she is a witch and has foretold that April is to help Simon find his true love. Although there is 20 or so years between the two, April has always been attracted to Simon, which according to the witch has been for always. The story flips back to Simon's ancestors that originally dwelt in the estate. I really enjoyed this romance that incorporates reincarnation as a theme. The age difference between April and Simon seemed to be erased as the story progressed. I sort of disliked Simon at first since he seemed all about money, while Dixon has such a fun and amazing family and outlook on life. As he discovered more about himself and his past, he became more likable. This is a great read for those of you looking for something a bit different with a bit of spiritual twist. Yeah for Donna! I love her blog and stop by and read her posts all the time. She always has something interesting to share. 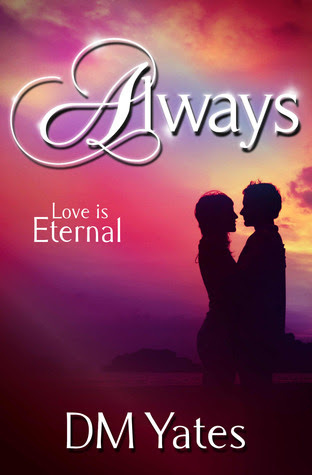 I really enjoyed your review of Always. It is wonderful when a character grows on us and I am glad that this is a book with spirituality. Thanks for sharing and for the giveaway.